Showmanship, spectacle and plenty of scary fun is in store for guests to the London Dungeon summer carnival as the attraction presents its very own Carnivale starring a cast of colourful characters ready to amaze and astound from Saturday July 26th to August 31st. 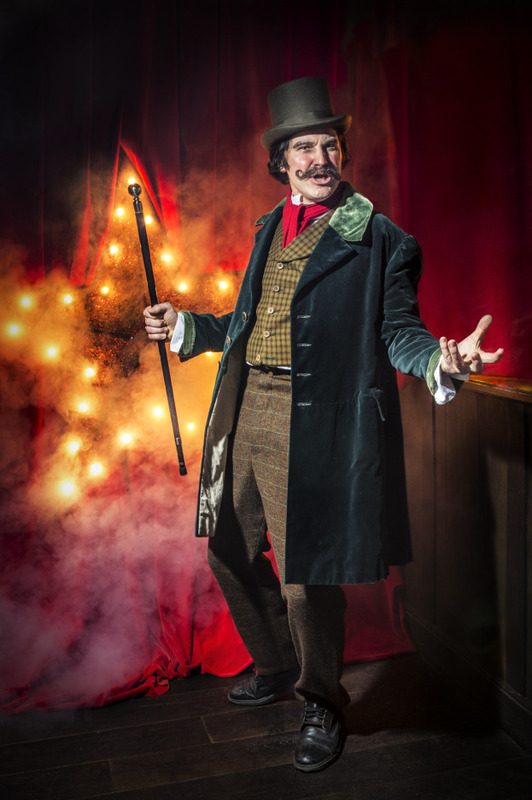 Roll up, roll up as the show begins with the Dungeon’s Victorian “Barkers” announcing the mesmerising entertainments inside – from the amazing “knife throwing” torturer to the discombobulating Hall of Mirrors. Guests can test their strength lifting strong man dumb bells or on the High Striker – will they be as weak as a plague victim or as strong as an axe-wielding executioner? Then look into the future with a fortune card dealt out by the Dungeon’s flea infested fortune teller – and watch out for the resident cockroaches and rats in their colourful carnival themed lairs. Once inside, there’s 18 shows plus two riveting rides to enjoy as 1000 years of London’s murky past is brought to life with a special Carnival twist. Marvel at Mrs Lovett and her fabulous pies, escape the clutches of Sweeney Todd, meet an escapologist whose enthusiasm knows no bounds and attend the trial of the hirsute bearded lady.